Households, healthcare facilities, and pharmacies like many others acquire a stock of medications. These medications lose their validity or become undesired over time, anyway simply throwing old prescription drugs in the trash may bring to severe consequences. 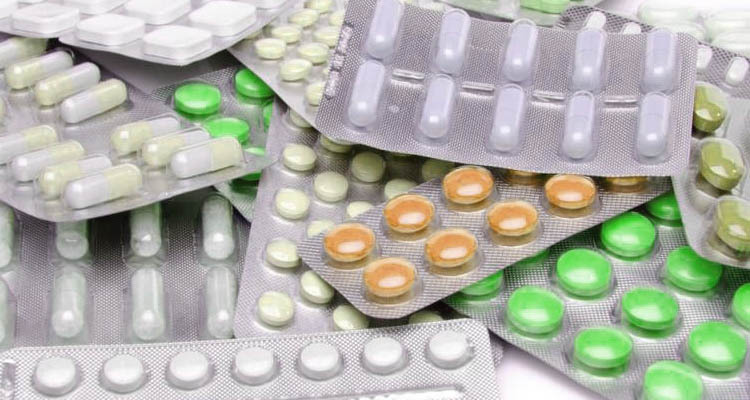 Prescriptions that are not safely disposed of can do harm to individuals who may by chance or intentionally consume them, and can release toxic chemicals into the environment if they make it to the landfill. Glycon Medical Waste offers safe pharmaceutical waste disposal services for your convenience so your medications aren’t at risk of being dangerous to individuals or the environment. Now we will look at how improper disposal of old prescription drugs can have harmful repercussions and why some disposal practices may not be sufficient enough to prevent these negative consequences. How Are Old Prescription Drugs Harmful to Others? Therefore, medications are safe when taken as prescribed by a doctor, they may cause serious damage to an individual when they fall into the wrong hands. Those people who have a weakened immune system – infants, the elderly, and pets – and those who intentionally abuse prescription drugs all may face serious health risks when these medications are accidentally or intentionally consumed. Kids and young children are curious and they are eager to know and examine everything, and may put anything into their mouths that they may think is a candy. This is very dangerous because they intentionally may consume any toxic pharmaceuticals simply because they don’t know better. A 2012 report by SafeKids.org found that approximately 64,000 emergency medical visits involved a child who had been exposed to medicine. That means one incident every eight minutes. Medications may pose a threat to the environment as they are chemical substances. Based on a 2008 Associated Press report, pharmaceutical drugs were present in the drinking water of approximately 41 million Americans. For the same reasons you wouldn’t throw away old batteries or paint thinner, you shouldn’t throw away prescription medications. These chemicals leach into the environment and can have significant implications on present and future generations. How Should I Dispose of My Old Prescription Drugs? Don’t combine your medications with an “undesirable” material—like kitty litter or coffee grounds— before throwing them away. You can’t know by whom these medications may be found and consumed accidentally or otherwise, and this doesn’t protect the environment from poisoning either. Don’t crush your medications to render them useless before throwing them away. Many medications are designed to dissolve slowly into your body so as to avoid overdosing. When you crush medications, you risk exposing yourself and the environment to inhaling the dust of these medications, thus consuming a higher dosage than intended. If your crush medications you may cause crumbs and chunks of medications to spread about the area as well, which will make it easy for children and pets to picked them up. This also does nothing to prevent these chemicals from entering the environment. Don’t throw away your medications down the toilet. If you do so it will see those chemicals just to the water treatment center, where these drugs are not always filtered out before re-entering the drinking supply. There exists a restricted amount of information regarding how drugs in our drinking water impacts public health. Unless there is an emergency situation and you must dispose of medications immediately, it is much more beneficial to simply store your medications in a locked, secluded container and dispose of them properly. Do store your medications in a securely locked, well-hidden container that is out-of-reach until you can dispose of them properly. Get used to collecting your medications for large-volume disposals rather than throwing them away on a pill-by-pill basis, and stay alert in protecting them from falling into the wrong hands. Do take your tablets to U.S. Drug Enforcement Agency take-back events. DEA authorities will handle your prescription medication disposal for you, but these events don’t take place regularly and may not be available in all areas. Glycon Medical Waste Disposal Service can help you process a program that prevent your prescriptions of the wrong hands.